Littlehampton Wave is the perfect place to achieve your fitness goals. The brand new gym with magnificent views of the sea will inspire and excite you. 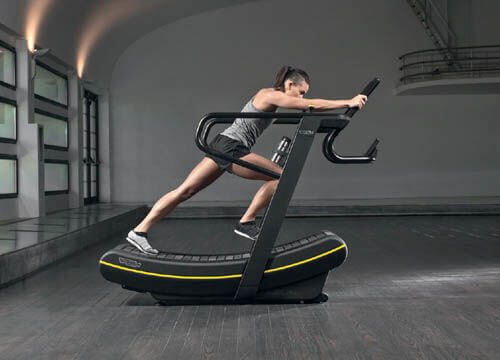 We've got the best array of world renowned Technogym equipment for all your fitness needs whether you are new to fitness or you're looking for a change of gym. Our friendly and highly trained staff are always on hand to coach, motivate and advise you every step of the way. Here at Littlehampton Wave, it’s our goal to get people more active, more often. We'd like you to visit as many times a week as you can and with the help and guidance of some of the most highly trained fitness coaches in the region we will provide the best possible environment to help you achieve whatever activity goal you may have for yourself. We've also got one of the best views in the UK! want to see more of our kit......go ahead! OMNIA™ is a rig situated in the middle of our fabulous gym. 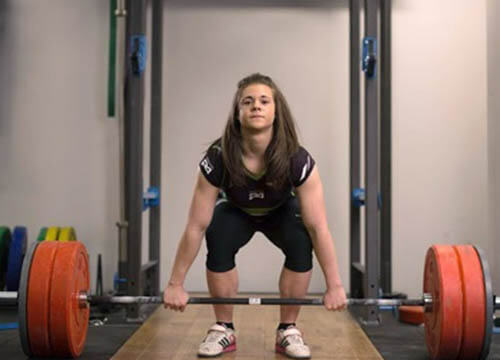 It is used for functional and ability training, with its huge variety of exercise options, accessories, flooring layouts and adaptability to suit all ages and ability levels. The OMNIA™ range brings people together in an active and interactive way to achieve results more easily whilst having fun. 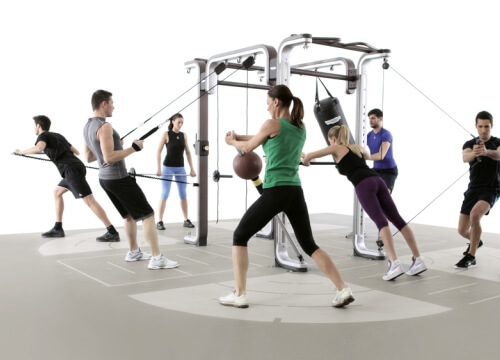 OMNIA™ allows you to create an engaging functional space and lets members explore their true athletic potential. 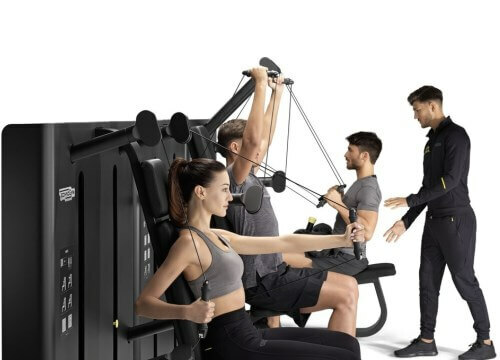 The KINESIS® line is designed to help users move freely and naturally with effective training programs that can be tailored to each user’s fitness level and objectives. With more than 300 exercises and movement patterns, KINESIS utilizes specific groups of muscles on different planes. The variable difficulty levels enable a countless variety of stimulating routines. SKILLMILL™ is operated and controlled exclusively by the force applied by its users. To speed up, they move to the front of the surface and to slow down, they move to the back. It accelerates quickly from a cold start and goes the same pace athletes go. The ideal solution for a sustainable facility, it helps reduce electricity costs and carbon footprint. SKILLMILL™ has been designed and engineered so users can work hard in a completely safe environment. The ergonomic design combined with the high quality components and materials produces a solid, compact product with a versatile nature that endures well beyond the normal usage to ensure maximum durability and reliability. All junior sessions are supervised by our highly qualified instructors. All junior members will need to have an orientation with our instructors before they are able to use the gym. Please call reception to book today on 01903 725451.